Do you ski, snowboard, snowmobile or recreate on Teton Pass? 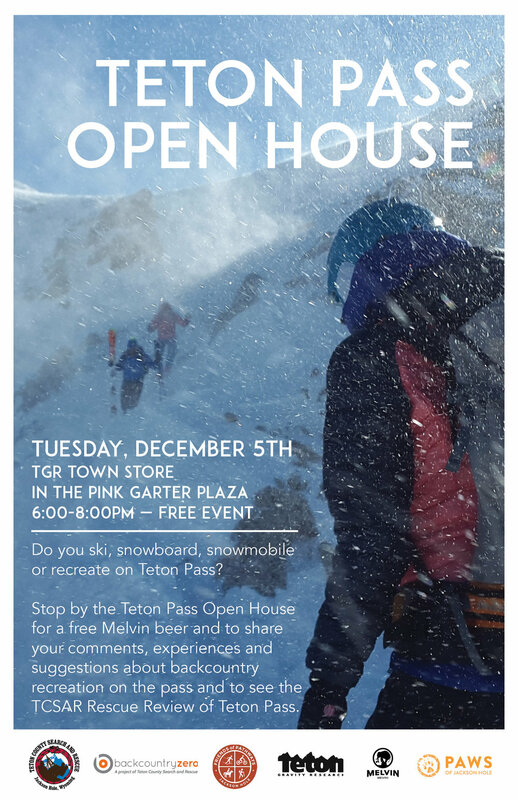 Stop by the Teton Pass Open House for a free Melvin beer and to share your comments, experiences and suggestions about backcountry recreation on the pass. Chat with the Pass Ambassador and chat with TCSAR volunteers about the most common rescue locations and incidents in the Teton Pass Area..